Hard to imagine, a dark, musty basement unit as a symbol of success, but when you crack open the vault and dig into the data, the facts confirm it. 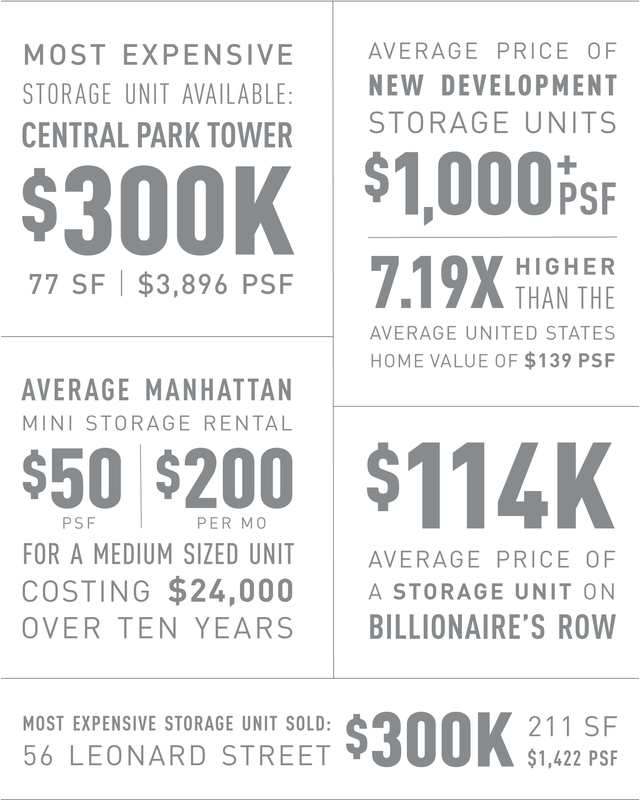 Consider this: the typical storage unit in Manhattan is priced nearly 7X higher than the average US home on a per square foot basis. Perhaps the yacht, the private plane and the Italian supercar are not what they once were. Because nothing says you’ve made it like a 77 SF storage unit. Developing brand new residential properties in a landmark district such as Soho allows for the opportunity to offer up truly enviable amenities. 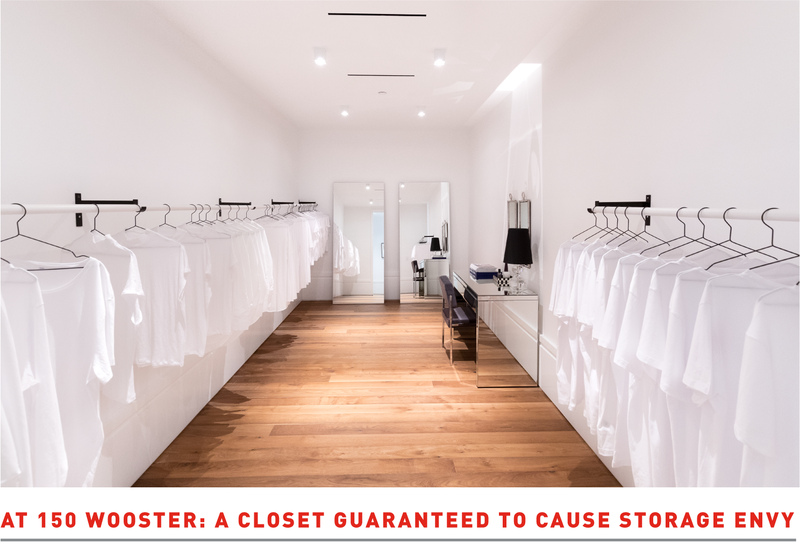 The closet in this unit is no exception. At 168 square feet, there are some studio apartments that are smaller. 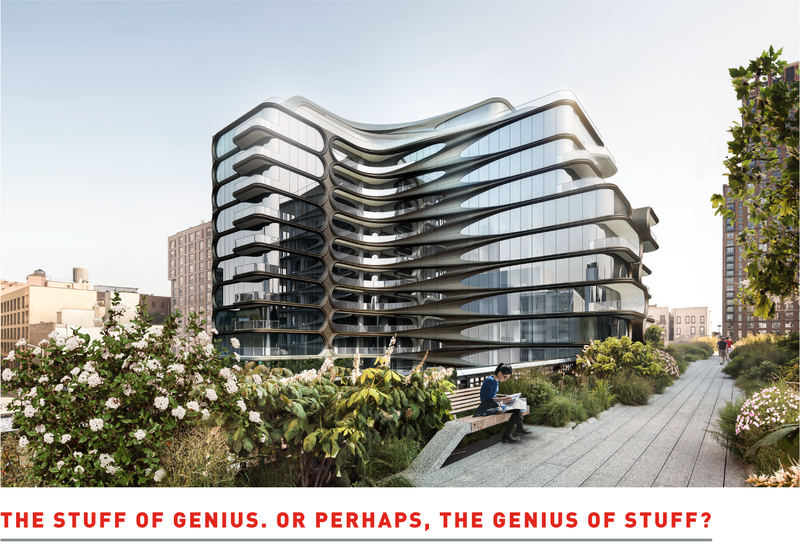 Architect Zaha Hadid’s brilliance shines through in her new building at 520 West 28th Street. Hadid’s use of space has always been remarkable, but this time the space receiving an unexpected amount of discussion is the storage space. Surely the most imaginative, private and secure home storage on the market, her new building brings storage out of the dark and into the forefront of innovation. Owners can sort through their sundries in a viewing room styled in the manner of the most elegant Swiss banks. Here each vault is called forth and delivered by robots and then returned to a secured garage, where humans are not allowed. Vaults range from $135,000 to $250,000. 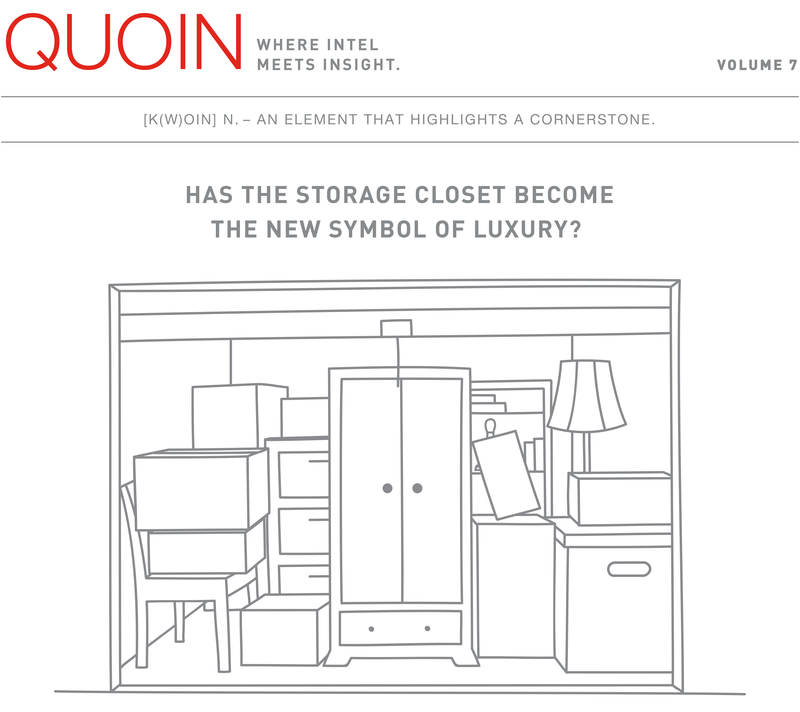 Sign up to receive these insights quarterly in your inbox.